I’ve been hanging around with Green Day fans tonight at the Green Day Community, where we’re sharing Tweets with each other that have appeared about Green Day’s performance at Lollapolooza tonight. It’s the first time that Green Day has performed at a Lolla since 1994, and there were more than a few naysayers harping on the festival’s choice of Green Day headlining. According to those folks who are tweeting, Lolla made the right choice in asking Green Day to headline this year. So far, they have gotten tweets that claim that tonight’s show was better than the much-anticipated performance of Lady Gaga yesterday. Ha! That does sound like a good way to get through a three-day music festival, that’s for sure. Here’s a short TwitVid from Jough Dempsey (via Green Day LIVE on Tour on Facebook). [LINK] They sound great even so far away from the camera! Oh, and you think that a 10:00 PM Lolla curfew would stop Green Day? Think again… they blew right past the curfew. My boys. I lub you. Sarah's Sign at Lolla... and she did! 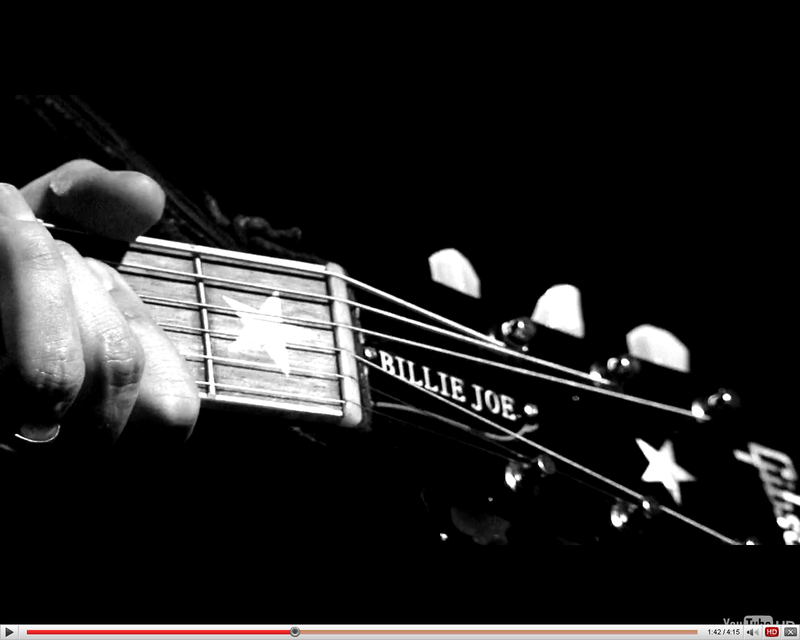 Jesus….when did Green Day become the perfect stadium act…time flies. 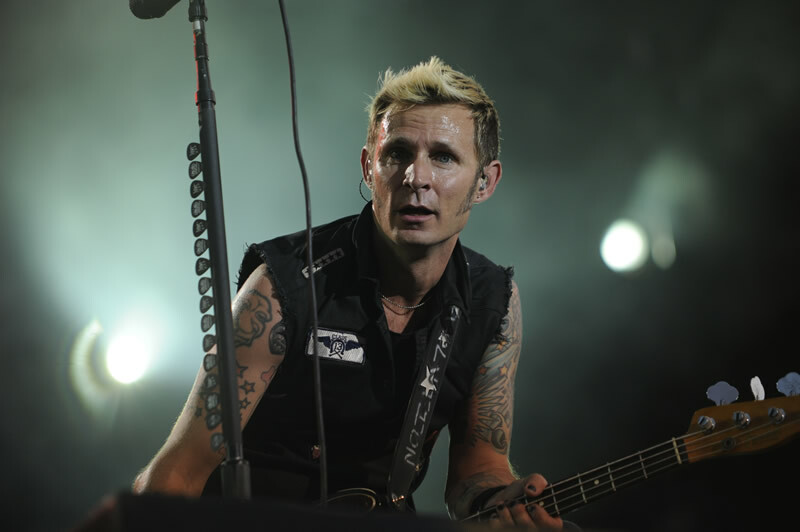 I haven’t been posting much because there hasn’t been much news to talk about since Green Day went on a month-long hiatus after their last concert in Europe was wiped out by storm in Venice back in June. The second-to-last leg of the 21st Century Breakdown tour is about to begin at the Susquehanna Bank Center in Camden, NJ this coming Tuesday, August 3rd, and I’ll be there! Can’t wait to see the boys take the stage again, particularly in a small outdoor venue such at the Susquehanna Bank Center, which I hear is in a nice part of Camden at the waterfront. I’m looking forward to it! Green Day will be touring South and Central America coming up in October, and I’m sure that the fans down that a-way can’t wait! Green Day appeared on the Jimmy Fallon show last night and performed, “Last of the American Girls.” This appearance was pre-taped a few months ago during Fallon’s tribute to the Rolling Stones’, “Exile on Main Street” reissue and documentary film. Green Day did a rocking version of the Stone’s “Rip This Joint.” NBC had posted the video on the official Jimmy Fallon site, but it’s now expired. I don’t understand why NBC does this… but hey, I’m not the CEO of a big media corporation, so what do I know? Here’s a link to the Green Day Authority’s posting of the “Last of the American Girls” performance from last night. Someone had also posted some fabulous footage of Green Day’s impromptu performance at 924 Gilman back in 2001 after the Influents played, but that footage has been taken off of Youtube. You can buy the full video of both the Influents and Green Day playing at Gilman at the Influents site here. As I’ve noted before, I’m only blogging the Green Day tour until it ends, and I’ll be starting up a new music and performance-related blog about Green Day and other bands, theater, television, and what-not after the tour ends. It’s been a blast, but it’s also been quite tiring. I can only image what a band goes through after almost 18 months on the road. That’s a lot of time and energy. If Green Day decides to add some additional tour dates, I’ll blog about it, but other than that, I’m going to figure out a new blog and name as October approaches. It’s been such a blast over the past months, that I can’t even tell you… and it’s quite helped my mid-life crises, lol. I’ve met some wonderful people and have had some incredible experiences. It overcomes me just thinking about it all. So, until October, please stick around, I’ll be here, and so will Green Day until they say farewell for however long that they will be underground… Though rumor has it that they are already looking for producers for their next album, have demoed and have written new songs in the old school style for the new album. Let’s hope that’s true! So maybe we won’t have to wait five years for new stuff afterall! Happy New Year from New York City – or more specifically, Brooklyn! What can I say about 2009? Well, a lot, but I’ll spare you the details. Let’s suffice it to say that Green Day helped get me through a pretty tough year of genocide-related research and activities. Through following Green Day this year, I have met some great folks from the entire spectrum of Green Day fans and a multitude of nationalities. And I even got to meet Billie Joe and Tre. So while I’m currently sick and broker than sin at the moment, it’s been one of those years that I will never regret, even the genocide part. I was able to travel to Europe twice (once to see Green Day in London), out to California twice (to see American Idiot – The Musical as well as attend Fake New Year’s with the band), out to San Antonio (and guess who I saw there? 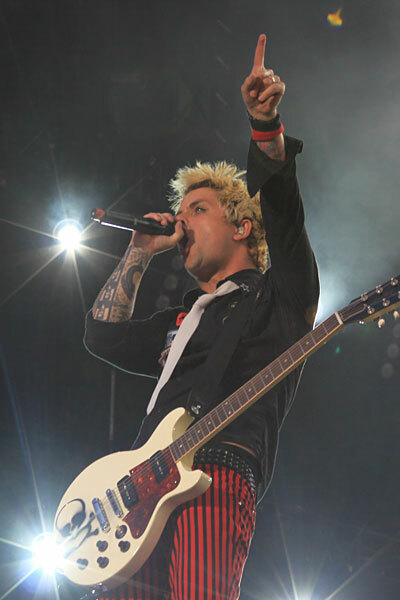 ), and four other Green Day shows in the New York area. As to genocide, both conferences that I presented at turned out to be pretty good. If you’d like to see one of my presentations, you can view it here and scroll down to Tanya Elder. It’s been a great year but the time has come to say farewell to 2009. Tomorrow, 2010 will be upon us as we leave the first decade of the 21st century behind in the dust. For the most part, I’m going to have to say good riddance to it. This first decade of the new century has been turbulent, life-shattering and plain awful. But at least we’re all still here, I suppose. Who knows what the new decade will bring? Let’s hope only good things as we continue on the road to the Breakdown. There’s more great stuff coming from Green Day in 2010, and I hope you’ll stick around to enjoy the band and my quaint little blog. Remember, I’m only blogging about Green Day through to the official end of the 21st Century Breakdown current tour, whenever that happens in late 2010. So until then, here’s a calendar made by the kids (and somewhat proofed by me) over at the Green Day Community to highlight each month of 2010 with Green Day views and facts. Click here or on the calendar front page image above to download your Green Day Community 2010 Wallpaper Calendar. The image below has previews of all of the months as well as the authors of each page. Click on the pic to preview the calendar.